Reel Talk Online: First Look: "Dr. Seuss' The Lorax"
First Look: "Dr. Seuss' The Lorax"
What I wouldn't give to live in the mind of Dr. Seuss, if even for just a day. I imagine life-size lollipops, eternal sunshine and random dance numbers in the streets. Hollywood seems to have a similar obsession with the late children's author/poet. 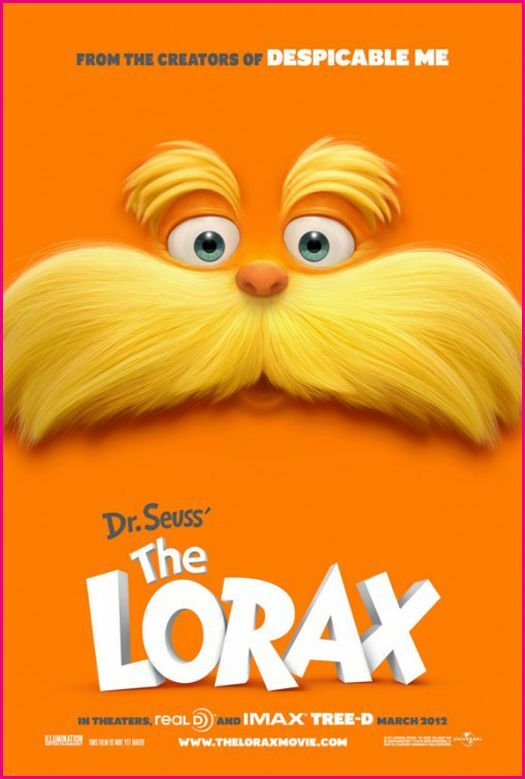 In the latest big screen adaptation, The Lorax, 12-year-old Ted (voiced by Zac Efron) embarks on a vibrant-colored search to find something that will attract the girl of his dreams Audrey (voiced by Taylor Swift). But he must first go through the ogre-like Lorax (voice by Danny DeVito). Also lending their voices to the film are Ed Helms and Betty White. The trailer looks just lovely, and it's by the creators of the vastly underrated movie Despicable Me. Kids will be rushing to see this when it opens on March 2, 2012. I will be rushing to see The Lorax. Glad someone else thought Despicable Me was underrated. I loved it!